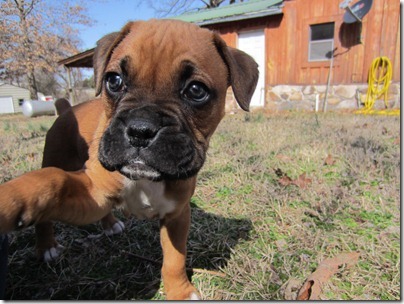 My husband has always wanted a Boxer. It seemed like this would never become a reality. Finally, though, I decided that if he was going to get one, he’d better get it now. That way, he’ll have time to train it. 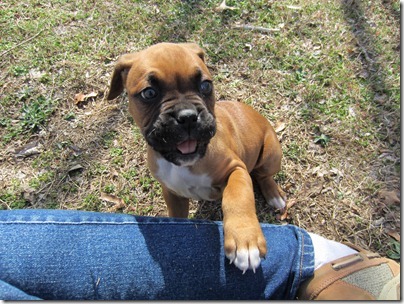 Plus, let’s face it, after baby comes we may never have the opportunity to get a Boxer again. 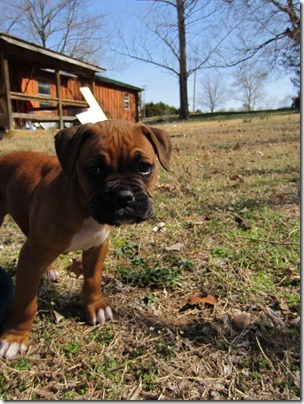 So, last week we adopted a seven-week-old Boxer puppy named Charlie. 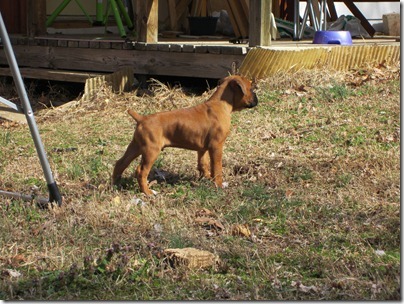 At first, Andy planned on naming him some big mean name, like “Zeus” or “Brutus”. Somehow looking at this chill little puppy, Zeus just didn’t seem right. And so, he got the name Charlie. He’s such a cute little guy, he can’t help but steal your heart. Plus, as my Mom says, “he’s got an old man’s face trapped on a puppy’s body”. 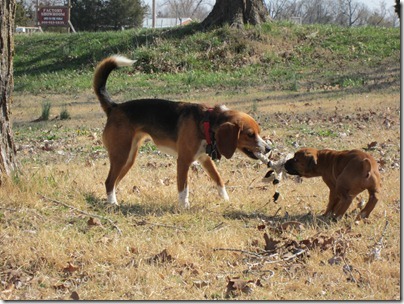 Already he and Sam have taken to each other…Sam’s a bit of a bully though. As for the cat, she’s spying on him from every corner and perch…trying to figure out what he’s all about. Charlie, on the other hand, is completely oblivious. Yep, we’re crazy…but lovin’ every minute. 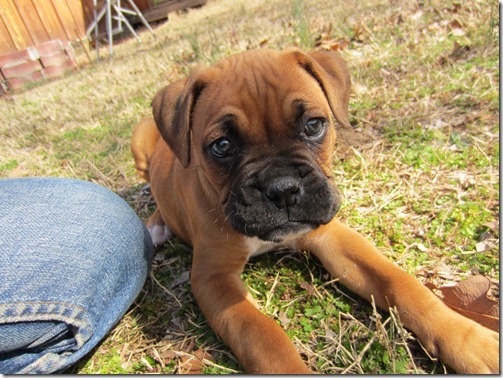 I love boxers, he is such a cutie! I never realized before how cute they are, but we're loving having him!